The European Commission has reiterated its attempt to persuade Poland and Hungary to take in asylum seekers under the EU migration scheme. If the two countries refuse to cooperate, Brussels will use “all powers” in response, it said in a statement. Warsaw and Budapest have opposed the refugee resettlement quotas since the very outset of the migrant crisis. Now, as the number of new arrivals has dropped, Brussels is seemingly keen to enforce the relocation from Greece and Italy – the main points of entry to the EU – to other member states of the bloc. “This is solidarity in action and a demonstration of responsibility. Now is the time for our Member States to deliver on their commitments and to intensify their efforts,” said Dimitris Avramopoulos, EU Commissioner for Migration, Home Affairs and Citizenship. With around 14,000 asylum seekers awaiting relocation in Greece and around 3,500 so far in Italy, the total number of people eligible for relocation in both countries “is well below what was foreseen in the Council decisions,” the European Commission argued in a statement. “If Member States do not increase their relocations soon, the Commission will not hesitate to make use of its powers under the Treaties for those which have not complied with the Council decisions,” it said. 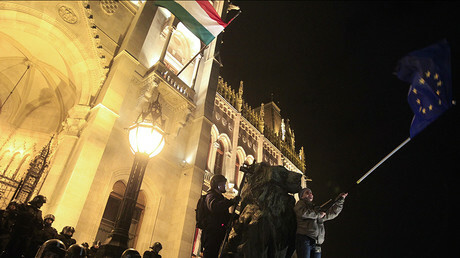 Over the past months, Hungary has faced stark criticism from Brussels for its refusal to implement the refugee quotas. Hungarian Prime Minister Viktor Orban insists his country is being “attacked” by migrants, arguing that they form a hotbed of terrorism. Last year, his government spent large amount of money to fund a six-month campaign – slammed by reputed rights groups as xenophobic and populist – in the lead-up to a failed referendum on accepting the EU migrant quotas. There have been other reports saying that alleged the widespread and systematic use of excessive force by Hungarian police against migrants trying to cross the border. 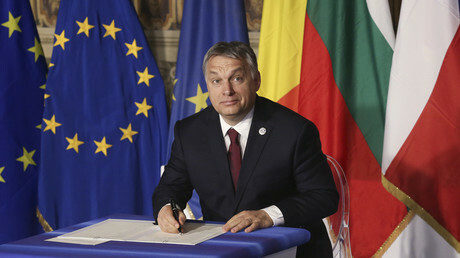 Earlier this month, the Times cited a senior diplomatic source from one of the major EU countries who told the newspaper that the bloc’s founding members, France and Germany, as well as up to 21 other countries, are poised to present Hungary and Poland with an ultimatum. 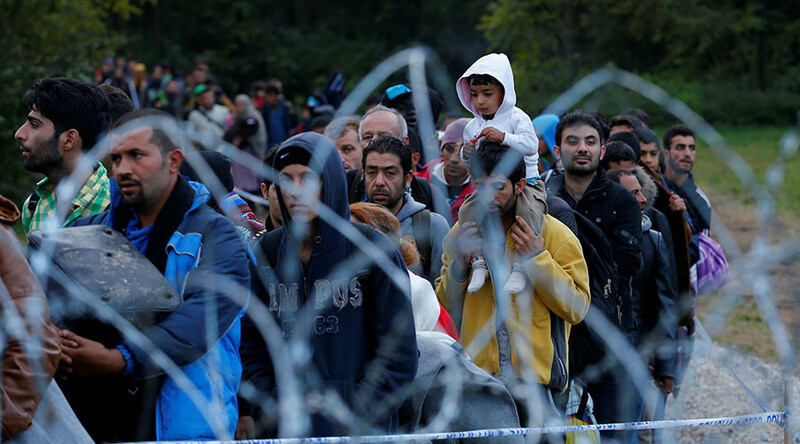 Meanwhile in Hungary, authorities are erecting a second electrified fence stretching 173km along the Serbian border. Construction of new detention camps is also underway despite a fierce backlash from the UN, rights groups and European judicial authorities. Earlier, Poland took a similar stance as Budapest towards the migrant issue, with Foreign Minister Witold Waszczykowski arguing that Warsaw has already been sharing the migrant burden, citing 1.26 million visas issued for Ukrainians last year, with half of the documents enabling arrivals to work and live in Poland.